Garter - Wedding Garter - Beautiful Handmade Ivory - Lace Sunflower Garter. 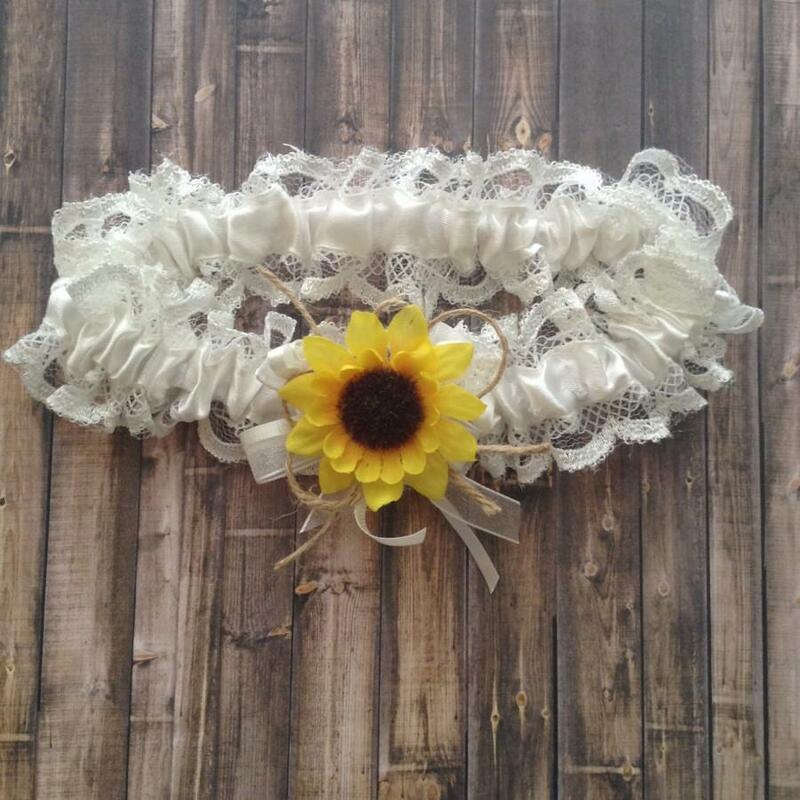 Rustic - Country Stye Sunflower Wedding Garter....... Its perfect for your special day!!!!! Wedding Garters are generally Worn Roughly 2 - 5 inches above the knee to around mid-thigh. Color- Ivory Flower - yellow sunflower burlap twine Lace - Ivory Visit my shop for more variety ....Enjoy craftsbybeba.etsy.com I hope you found what you were looking for....Always Welcome!!!!! !